ECHR said that the verdict against Nadtoka contradicted the right of freedom of expression. 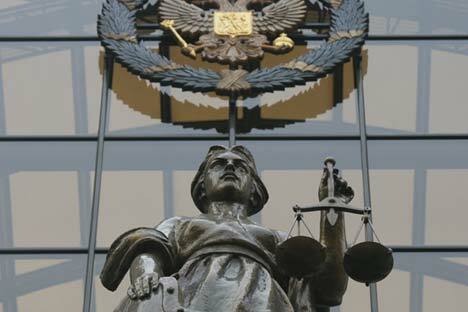 The European Court of Human Rights (ECHR) rendered a decision to collect from the Russian authorities 5,992 euros (about $6,700) in favor of the chief editor of the Chastnaya Lavochka newspaper, Yelena Nadtoka, in the defamation case of the former Novocherkassk (700 miles from Moscow) mayor Anatoly Volkov in 2004, the ECHR said in a press release published on May 31. Out of the amount due and payable to the complainant, 4,000 euros ($4,400) are in respect of non-pecuniary damage and 1,992 euros ($2,300) are for the costs and expenses of the trial. ECHR said that the verdict against Nadtoka contradicted the right of freedom of expression and violates Article 10 of the European Convention on Human Rights. Volkov, a former Novocherkassk mayor, filed a lawsuit following the publishing of an article containing offensive depictions in the Vecherny Novocherkassk newspaper. The court found Nadtoka guilty in aiding and abetting the crime, and sentenced her to a fine of 50,000 rubles ($750). Nadtoka's attempts to appeal the judgement in Russian courts were unsuccessful.